I have a confession. I was catering a bridal shower and this customer wanted a Mediterranean style pasta salad made with orzo. 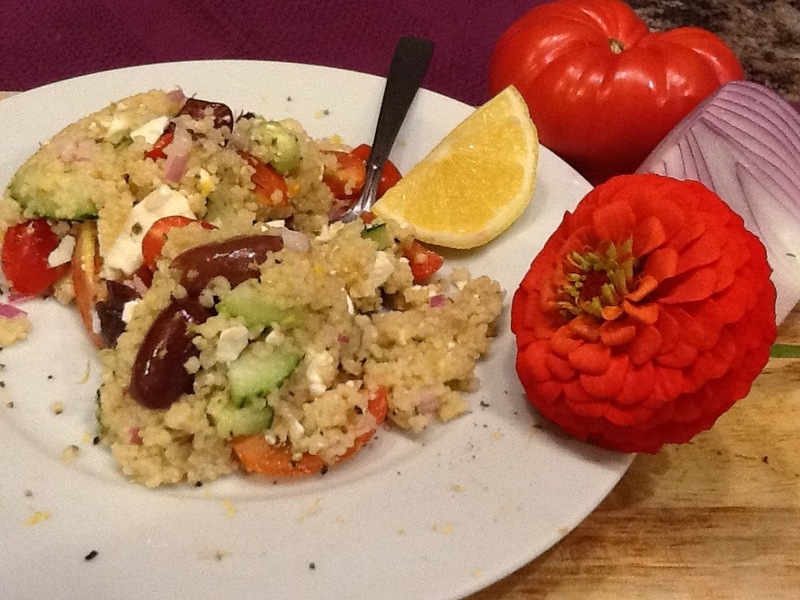 Well, I took a risk and made this Couscous Greek salad instead. I didn’t even discuss this change up with the customer first. I knew that it would be a delicious switch. I was being lazy at first, I just came from the store and forgot to get the ingredients I needed for the Mediterranean salad. 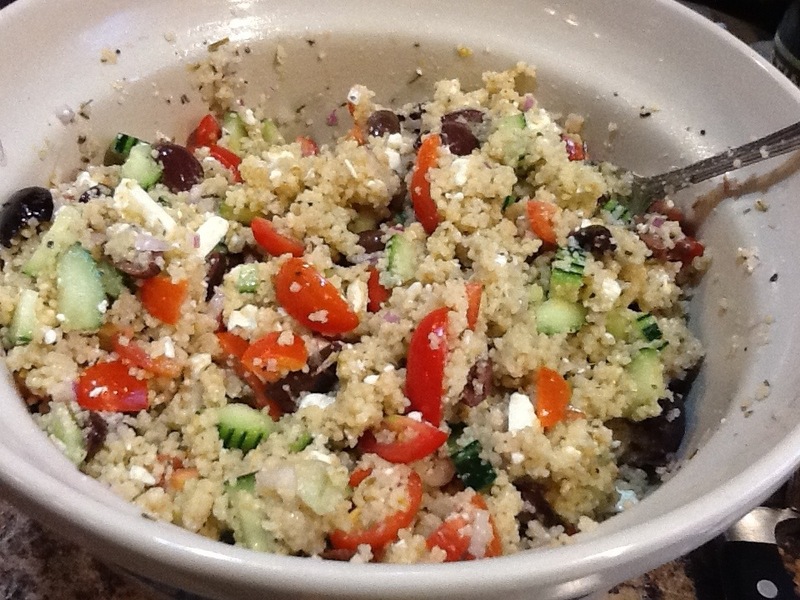 But, I had everything I needed for the Greek Couscous salad and I had just the person home to make it, my sista’ Becky, she was over to my house so I put her to work! The bridal shower was a great success and the salad was never even mentioned that it was the wrong one. I’ll tell you why….it’s cuz it wasn’t the wrong one it was perfect. I didn’t say anything until I heard some chatter from the hostess saying that she loved that salad. Slam Dunk! She never even noticed it wasn’t what she ordered. And later that night she came up to me and said that pasta salad was delicious and that was a great choice. I have learned being a caterer that people love what ever is made for them. And that the majority of people will eat whatever is put in front of them. Not a lot of people eat good quality food. So, when they do, it usually is a marvelous awakening to their palate. Not a lot people these days eat home cooking. Or, it could be just the fact that someone else made it. Anything is good if you didn’t have to make it yourself! I got this recipe from Becky (my youngest sister) awhile ago but never made it. Shame on me! When Becky came home this summer from Okinawa she made it. I love having people in my kitchen that know how to cook, it is so relaxing. Now that I have tried this recipe, I use it for catering jobs frequently. And, boy when I do people love it. It is pretty too. 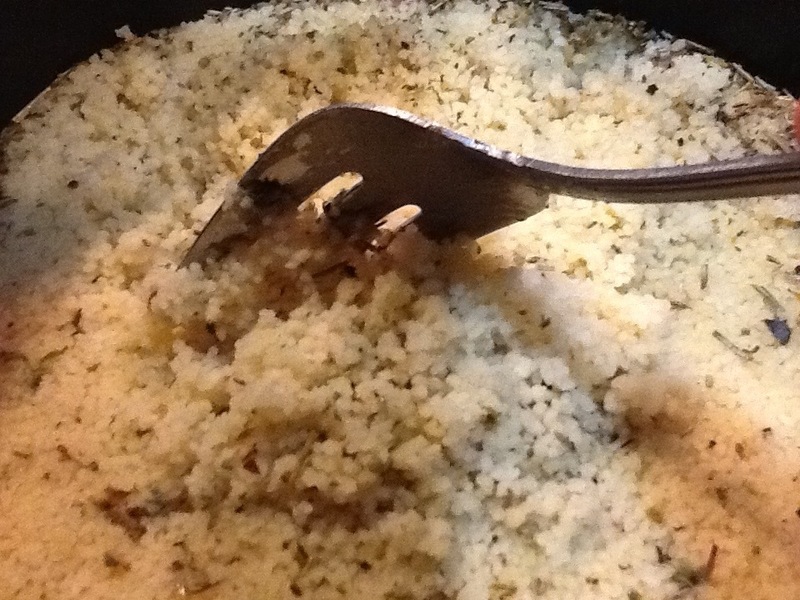 Couscous is a coarsely ground pasta made from semolina, a type of wheat. 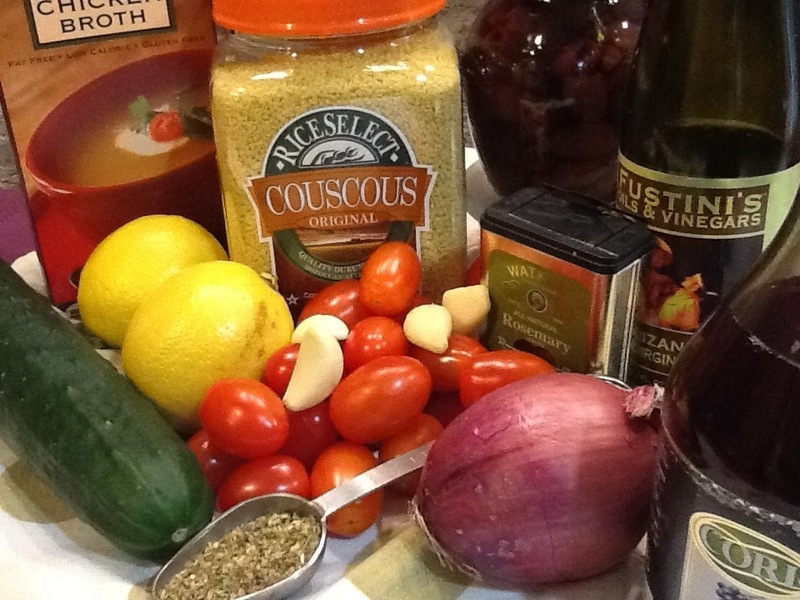 There are so many recipes you can make from couscous. It can be savory, sweet, side dish or even as a main dish. 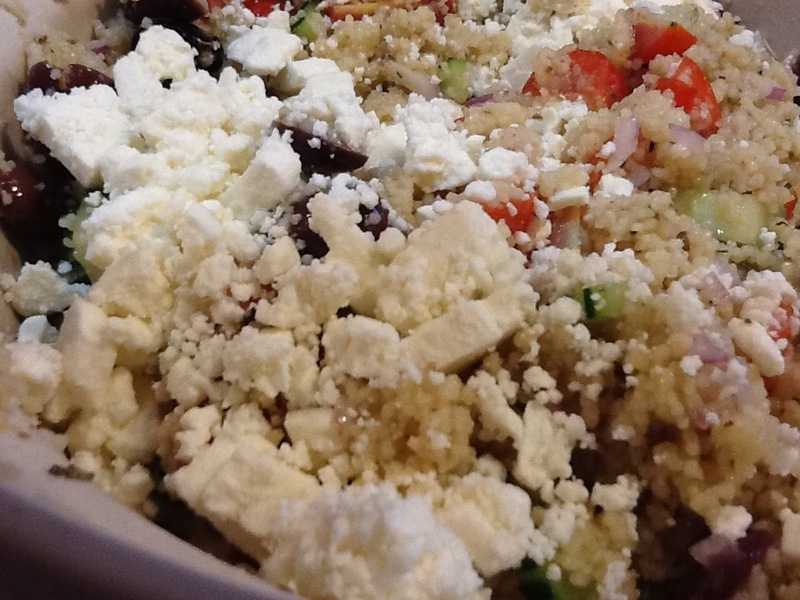 Whatever “add in’s” you mix in the flavors are absorbed to turn your side dish into something fabulous! This is all my sisters and I. They all enjoy to cook to a certain extent. Jaime is my oldest sister and is so blessed with the talent of art. She even has dabbled in the world of edible art. She uses different colored chocolates and will paint with them and make cake toppers or for cupcakes. Really cool! 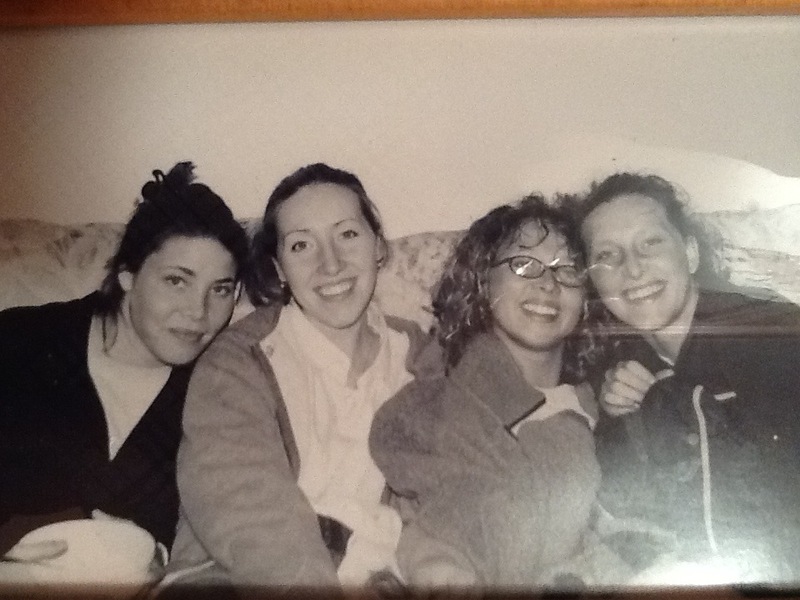 My sister Staci is 3rd in the line up and has a soft spot for old fashion type of foods like, grama P’s pasta salad, glorified rice, fluff, and Boston baked beans (the candy peanuts that come in a brick printed box) she also loves chicken patties 😉 Staci is a good cook too. Then the baby….Becky. She loves to cook and is passionate about desserts. She loves her cup of heavy cream to join her splash of coffee in the morning. She has got down the art of making a great breakfast every morning when her husband is home, no cereal in the morning at her place! Yes Kent… I took a picture of a picture. I’m a dork. 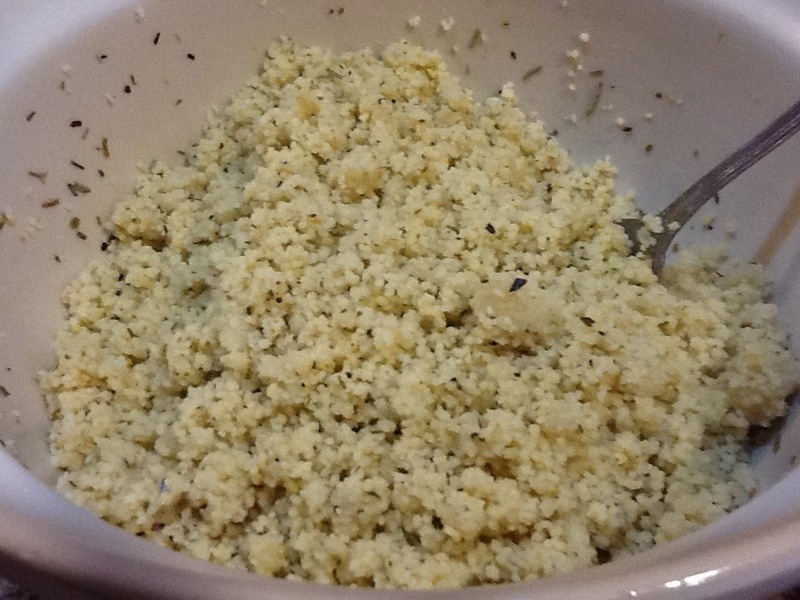 Make sure you use plain couscous. This gives you control of the flavor and seasonings. 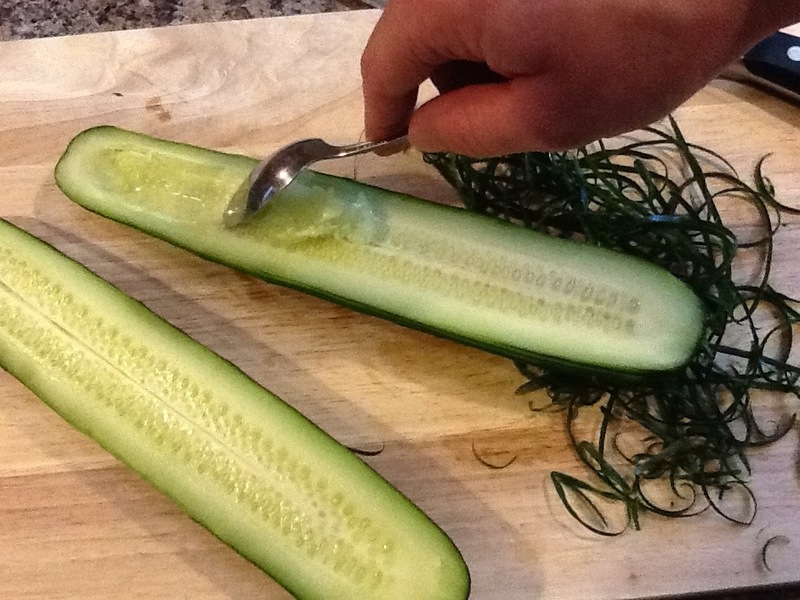 I peel the cucumber with my zester, this gives the cuke a fancy look. 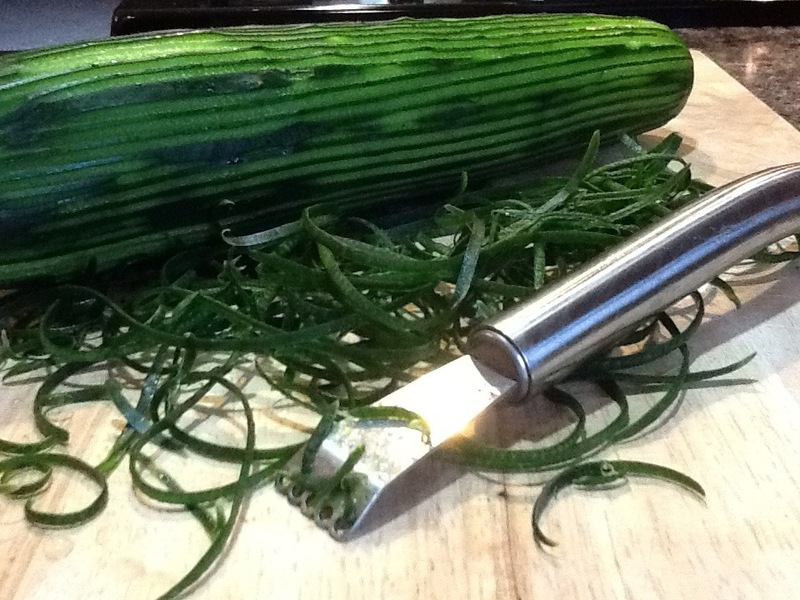 Also, if you didn’t splurge on buying the English cucumber (the seedless kind) then I recommend scraping out the seeds with a teaspoon. Well worth the extra step, this will prevent a soggy salad. You want the crunch not all the water! Plate up and enjoy! Max just came in from outside with this flower behind his back and gave it to me with an “I love you, mom” He couldn’t of gave it to me at a more perfect time, in more ways then one. Bring broth and herbs to a boil. Add couscous, shut off heat and cover. Set aside for 5 minutes then fluff with a fork. 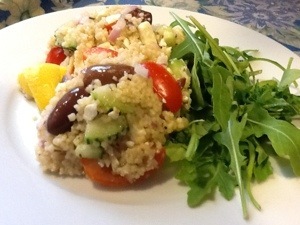 Let couscous cool. Add all the chopped veggies, feta and parsley. Gently toss together. 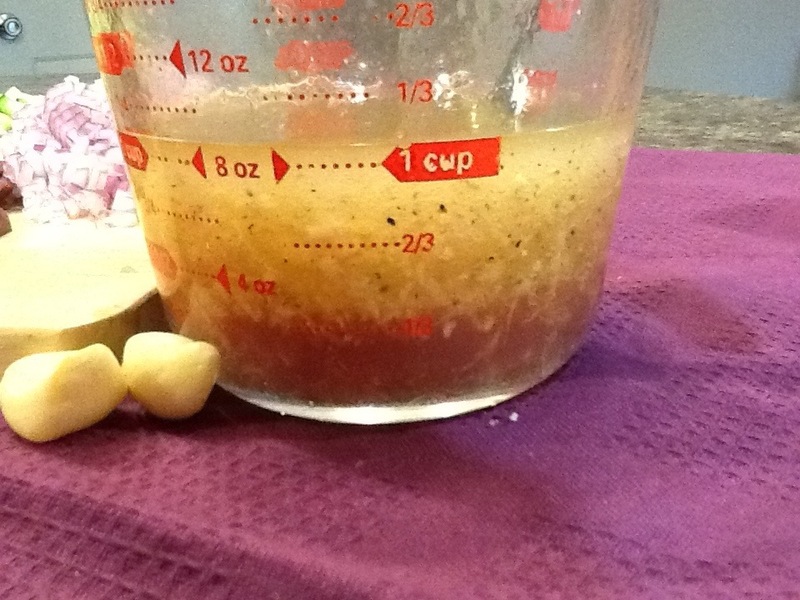 Make vinaigrette. Add all ingredients in a jar and shake vigorously. Pour over couscous and veggies. Eating this right away is delicious, but if you can wait at least a couple hours and let marinated you will enjoy even more! 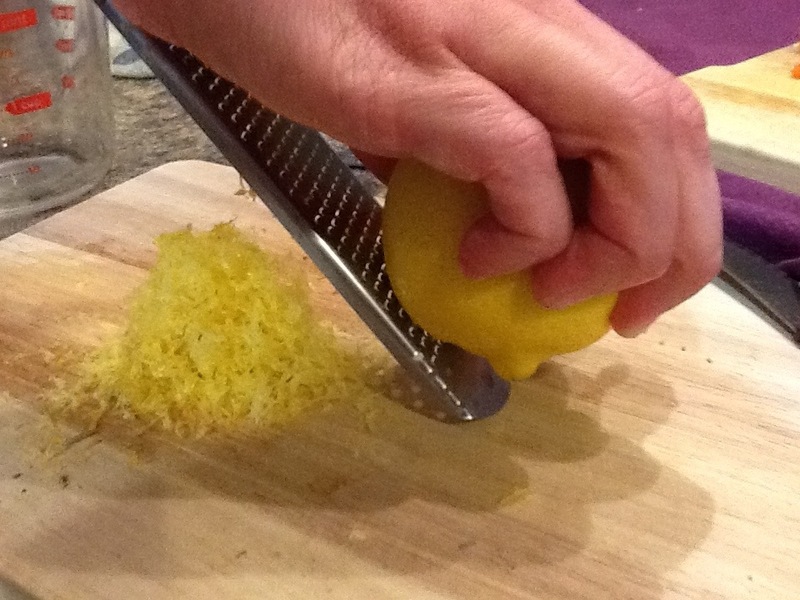 Garish with a sprig of parsley and wedges of lemon to squeeze on top if desired. ← LOVE! Tres Leches Cake! Today, just for today.. I wish I could have all my girls home. Love this salad! It’s so refreshing and yummy! My family likes this so much they asked for it for Thanksgiving Dinner! 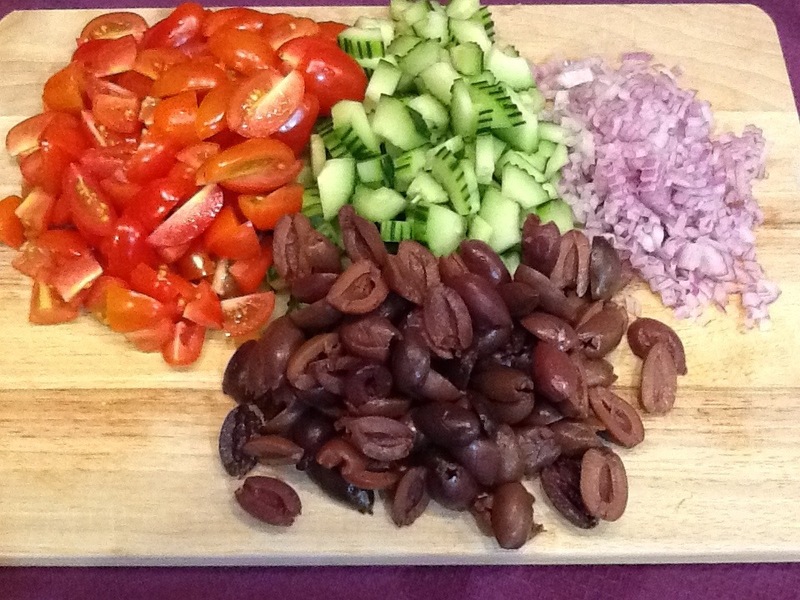 Made it several times… really good salad Thanks for the recipe.